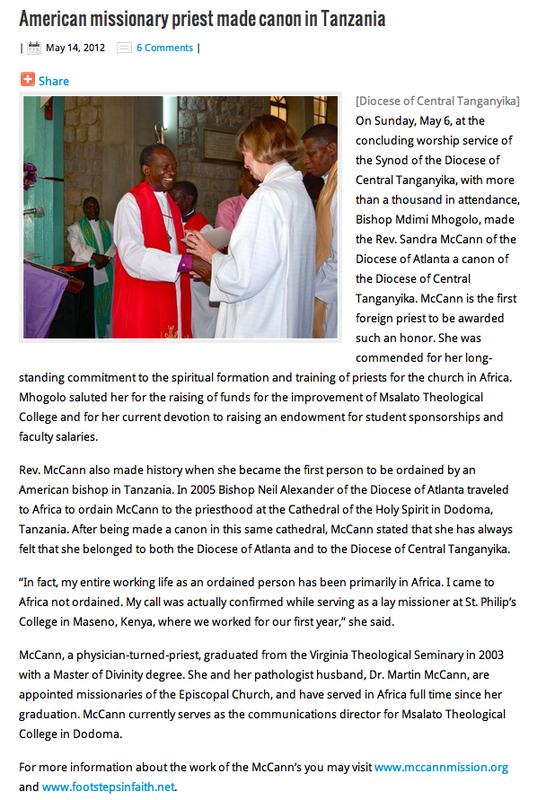 SANDY – our friend in Tanzania – HAS BEEN MADE A CANON!!!! Here is the article below or read it online here. « BUS FOR BISHOP STANWAY! !